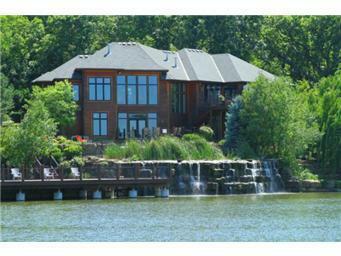 Pristine beauty awaits you at this Johnson County hideaway. On this immaculate 11 acres you will enjoy your very own infinity pool, gorgeous lighted waterfall, stocked lake, park like landscaping, and so much more. This lovely reverse 1.5 boasts a workout room with multi-person sauna, screened in porch and multiple decks. Master overlooks the lake.